Description: Conflict across the cosmos. New frontiers discovered. What it means to be human reimagined. 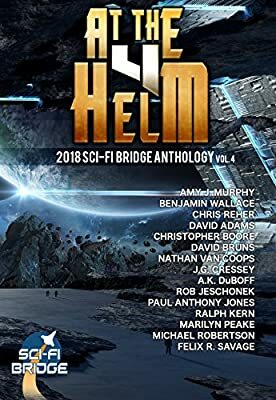 Dreams of tomorrow become reality in this fourth collection of bestselling authors and newly emerging writers from Sci-Fi Bridge. From the inner worlds of unforgettable characters to alien planets at the farthest reaches of our galaxy and beyond, our writers examine the human experience from within and without. They hold up a mirror to the human experience. Who are we as a species? Who do we want to be? How do we achieve that greatest vision of ourselves for us and our children? Want to know more about Sci-Fi Bridge? Visit our site at scifibridge.com and subscribe to receive giveaways and great Sci-Fi deals straight to your inbox.